Specifically focussing on traditional casino and poker entertainment, 777 Casino brings a retro feel to the market. Whilst most casinos pride themselves on modern and flashy interfaces, 777 have taken a step back and have gone for a 1950s look. Players should not judge a book by its cover and assume that the games are old as well, as they’d be wrong. Modern games are available with modern technology. 777 Casino is part of 888 Holdings PLC’s renowned Casino group, which has been listed on the London Stock Exchange since 2005. It’s all about retro 1950s glitz and glamour on the website! The casino is available in English, German and Swedish, and licences are held in Gibraltar in addition to the UK Gambling Commission. 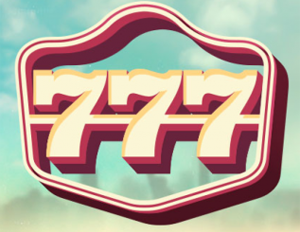 Slots are considered to be the priority for 777 Casino, with the website including some of the most popular titles currently available, including Millionaire Genie and the themed A Nightmare on Elm Street. Both of these games are progressive jackpots and offer a life-changing sum of money if the jackpot is won. A 777 Live Casino is also in operation, where players can enjoy a casino lobby offering games broadcast from a physical casino studio, with real humans as dealers. Players have 5 games to choose from: Roulette, Blackjack, Baccarat, and 3 Card Poker and Hold ‘em. Apart from the slots and the live casino, there’s a limited selection to choose from, with just 4 roulette variants. With such a reliance on slots, it’s unsurprising to see that 777 Casino uses so many different software providers, including NetEnt, Playtec, IGT and Evolution Gaming. Mobile Gamers are considered a priority by the casino, with the majority of games available on mobile devices, including the live dealer lounge. The mobile site is compatible with all HTML5 devices and no app download is required. A choice of bonuses is on offer to both new and existing players on 777 Casino. The “Promotions” tab on the website opens up 5 sub-headings packed with enticing promotions for players, including welcome offers, daily offers, live casino offers, hot promotions and finally the VIP Casino Club. The VIP Club rewards loyalty with exclusive promotions, rewards and prizes for players who’ve earned the rank of a 777 VIP. 777 accept many different payment methods, including Visa, MasterCard, NETELLER, PayPal and Skrill. Players should not worry about personal security, as the casino protects players with an SSL encryption which turns all sensitive data, such as passwords and card numbers into unreadable text. This is a similar process to one that is employed by leading banks. All games are tested for fairness by the UK Gambling Commission and the Casino explains the process and provides a link for the results on their “Fair Play” page. Players can trust that 777 Casino provides 24/7 customer support. Staff are reachable via Freephone at any time of day for players based in the UK, Germany and Sweden. The Live Chat feature that is so prominent amongst other online casinos is absent here, but an email address is available with replies usually sent within a few hours.